Show your support for the University of Louisiana State with this unique football runner! 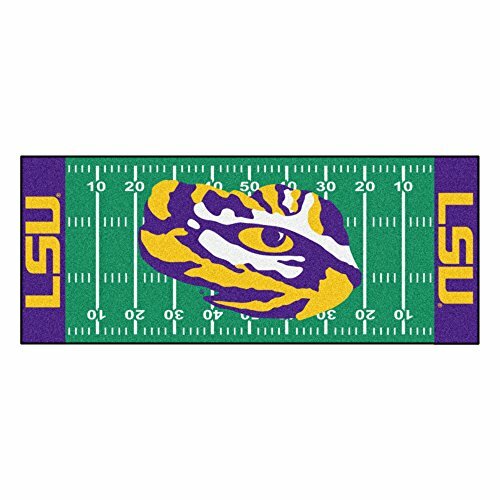 Officially licensed, this LSU Tigers football field runner is 100% nylon carpet and has a non-skid recycled vinyl backing. 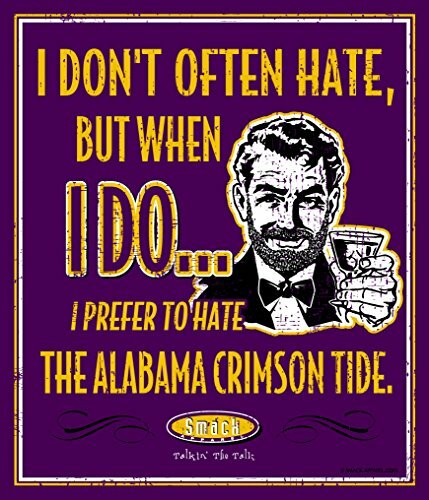 This football runner is ChromoJet printed for true LSU colors and machine washable. This Tigers field runner will be a bold and distinctive addition to any office or game room! Made for a true collegiate fan, our official collegiate round edge bath rug by the Northwest company is the perfect mat to place in your bathroom, to make a proud statement about your favorite college team! these 100percent nylon rugs are dyed to color-coordinate with your favorite college team's true colors and logo and having a non-skid backing that keeps it in place. 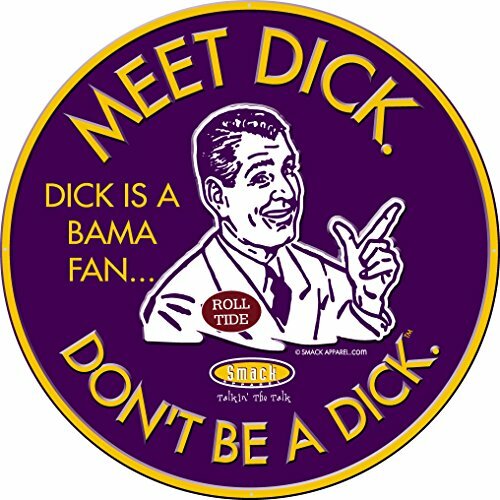 Step out of the shower and feel like a true college fan with this 20 inch x 30 inch bath rug. Spot clean only. 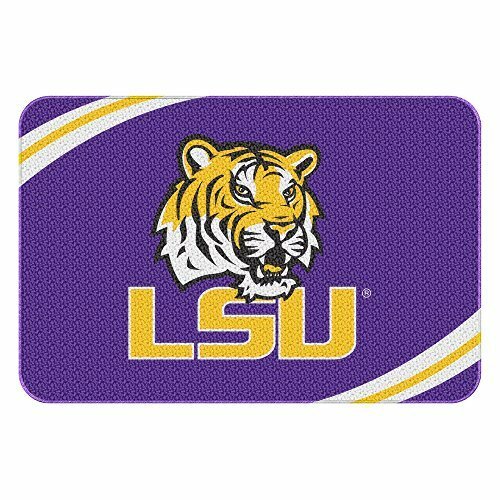 This LSU Football Scraper Mat is great for showing off your Tigers pride in high traffic areas! 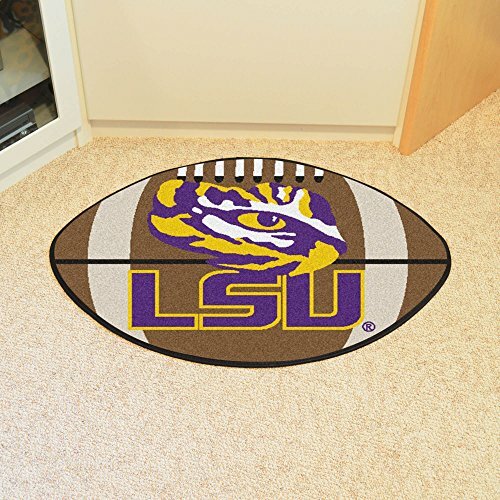 This LSU Tigers scraper mat has nibs that scrape shoes clean of dirt, debris and moisture so that your home stays clean. The debris is then trapped below the walking surface. Clean up is so easy just use a hose. Rubber construction ensures durability and mat features a high resolution image that won't fade! Non-skid textured backing keeps mat in place. 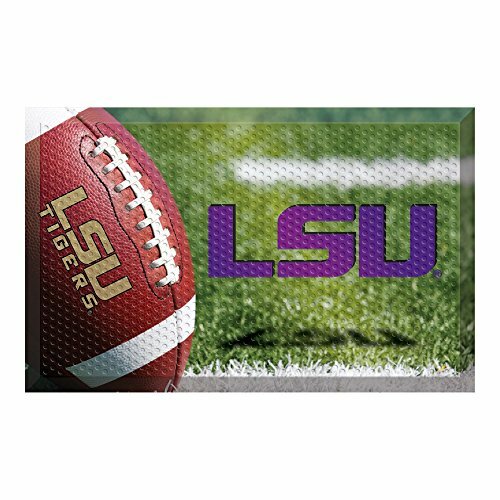 Get in the Game with this NCAA Louisiana State (LSU) Tigers Team Spirit area rug from Milliken and Company - the leader in textile research and design. Made of injected dyed 100% Stainmaster�� nylon, coated backing and serged borders. Ideal for the home or office. Crafted with Pride in the USA. 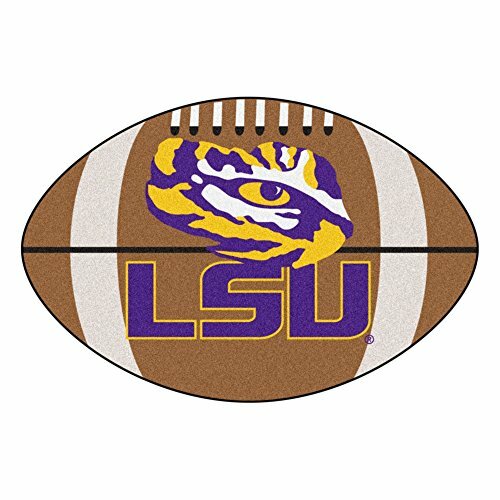 7' 8" x 10' 9"
For all those LSU football fans out there: This football-shaped area rug is the perfect way to make a LSU Tigers statement in your home! This area rug is 100% nylon carpet and has a non-skid recycled vinyl backing. This rug is machine washable, officially licensed and Chromojet printed for true Tigers colors! 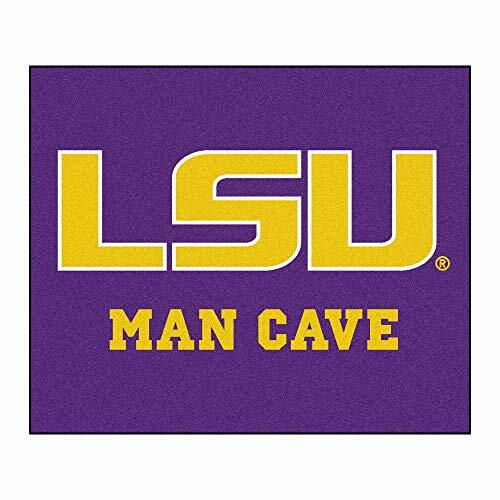 Every true LSU football fan needs this football shaped area rug in their home, gameroom, or office! 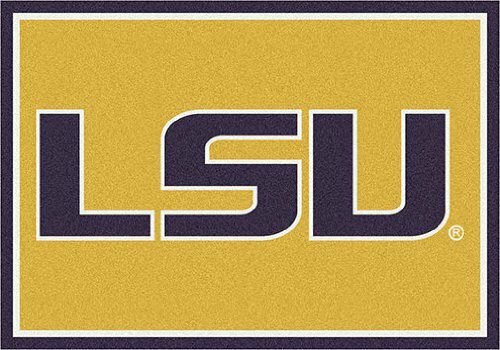 Get in the Game with this NCAA Louisiana State (LSU) Tigers Team Spirit area rug from Milliken and Company - the leader in textile research and design. Made of injected dyed 100% Stainmaster�� nylon, coated backing and serged borders. Ideal for the home or office. Crafted with Pride in the USA. 5' 4" x 7' 8"